Our Specialist Valuers will be out and about in our exhibition trailer at various County Shows offering advice and free vaulations. Please keep your eyes on this page for future dates and events. We regularly welcome and host one of the nation's favourite antiques related programmes, Bargain Hunt! This episode featured Experts Colin Young and Tim Weeks which was broadcast on Friday 22nd June 2018. Our team will be attending this event for the first time this year with our exhibition trailer and offering valuations and auction advice. We're looking forward to it already! Our team will be attending this event (and keeping our fingers crossed for the same glorious late summer sunshine as last year!) 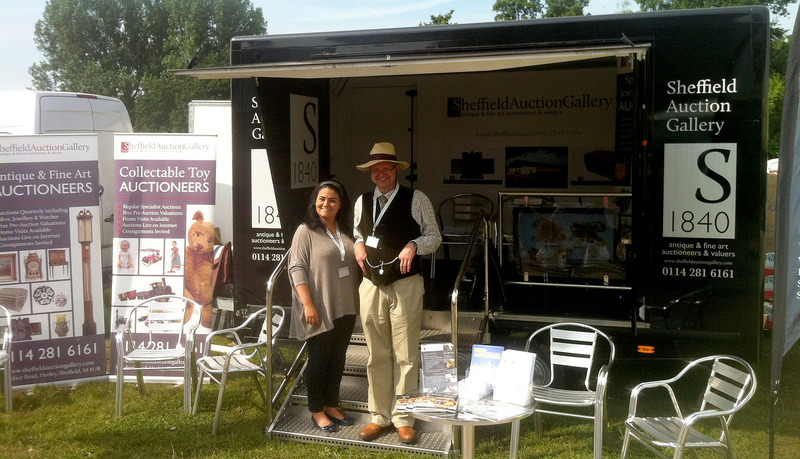 with our exhibition trailer and offering valuations and auction advice. We're looking forward to it already! 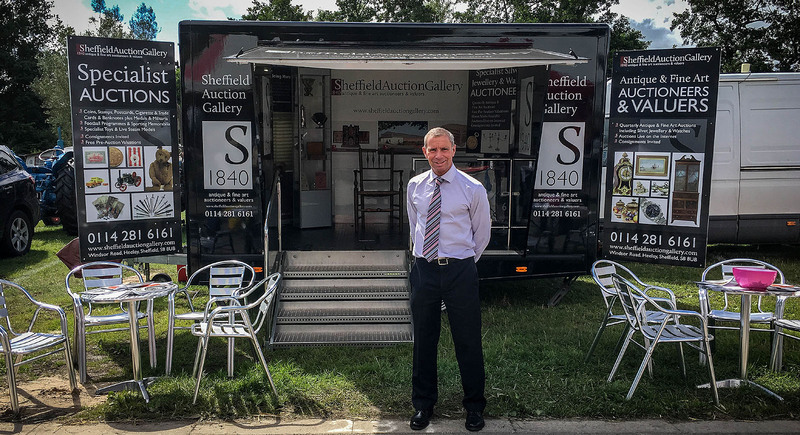 Our team attended this event with our exhibition trailer and offered valuations and auction advice. Specialist Furniture Valuer Andrew Jameson welcomes Sir Winston Churchill at Kelham Island 2012! Our team attended this event with our exhibition trailer offerring valuation and auction advice.